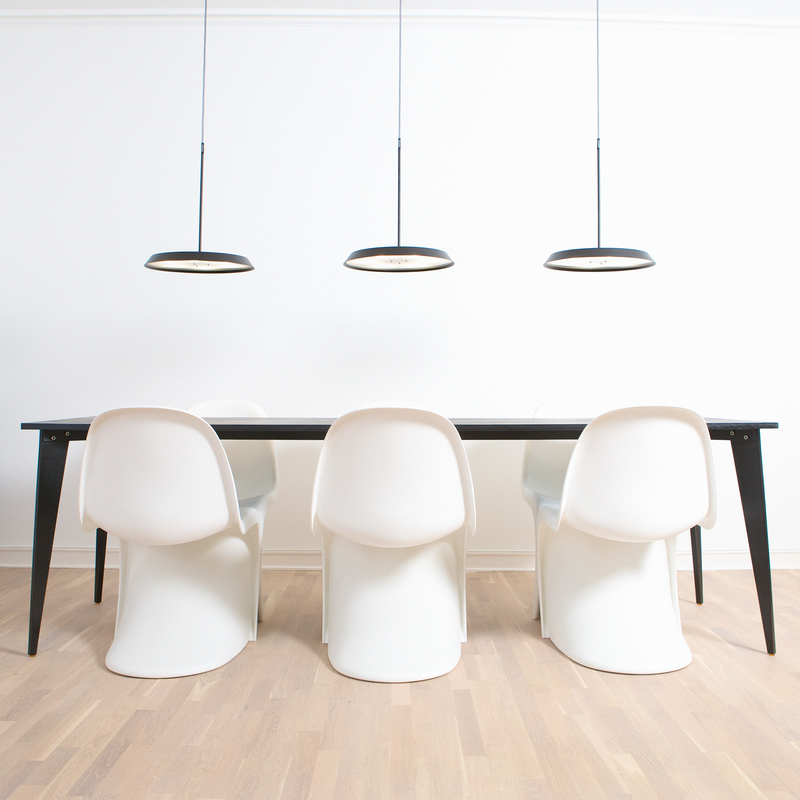 Koenig Pendant is the pendant member of the Koenig series. The shade is 36mm in height, which makes it one of the smallest available. 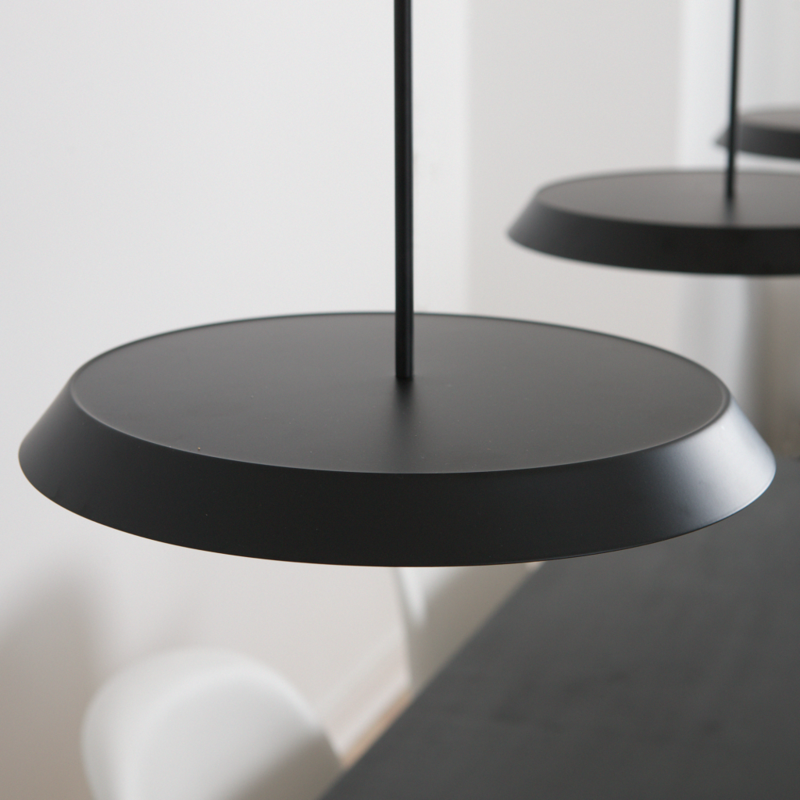 Both the Table Lamp and the Pendant are made of powder-coated steel, which is both durable and friendly towards the environment. 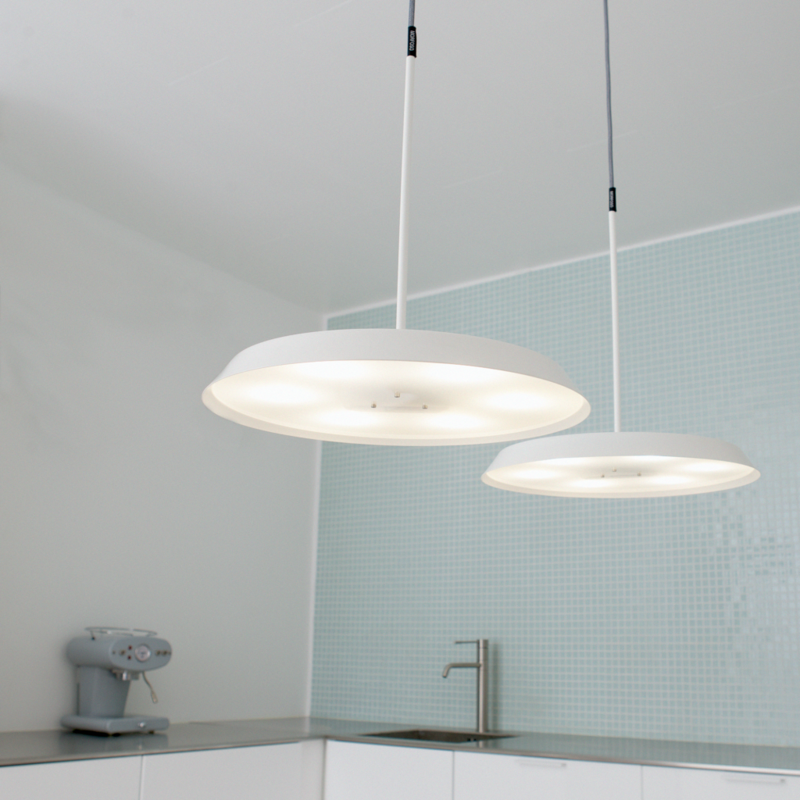 The pendant uses 10W and provides light output equivalent to a 60W incandescent. This will reduce the energy consumption by 83%. Dimensions: 39 cm in diameter and 3,6 cm in height (40 cm including the pipe).